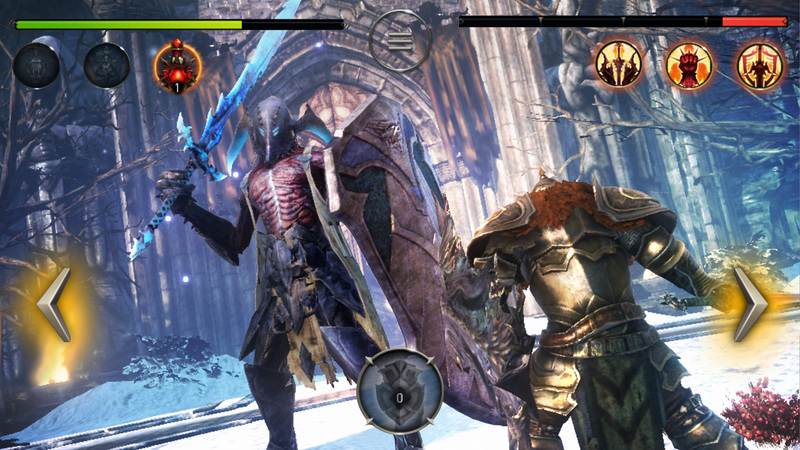 Is Lords of the Fallen the challenging mobile game you've been looking for? Lords of the Fallen was an interesting game when it released in October of 2014 and I quite enjoyed my time with it back then. So, when I heard that CI Games (formerly City Interactive) were bringing the challenging RPG to mobile devices, I just had to take a look at it. What I found was a shallow experience that struggled to grasp my attention and refused to showcase the challenge that made the original game so enjoyable. Lords of the Fallen mobile takes things in a little bit different of a direction compared to the original game. This time around players can dive into the shoes of three different characters, Harkyn—whom players will recognize from the original game—as well as two new heroes, Yetka—a rogue, and Kaslo—a cleric. Each hero plays somewhat differently. Harkyn can block more hits, whereas Yetka is much faster on her feet when dodging and Kaslo can heal himself more often with his magic, which can be extremely useful against some of the more challenging bosses that you meet later in the game. Players will face off against different enemies and bosses across 12 different levels. The only real challenge that appeared throughout the game were raised amounts of health on enemies that I encountered. For the most part combat was pretty straightforward. Swipe up, down, left, right or horizontally to attack and then press specific areas of the screen to block or dodge attacks. All you really had to do to win a fight was block or dodge the enemy and wait for them to become confused/stunned. At this point massive letters would appear on the screen, warning you to “attack now.” While you could parry attacks, I found the parry mechanic to be quite finnicky, with my swipes sometimes not registering correctly during battles. CI Games have stated that this is a completely standalone story set within the Lords of the Fallen universe, and while that makes sense given the way that things are presented, the game really fails to convey any kind of real story throughout the twelve areas that you explore. Each boss you take down warrants a short cutscene from “The Queen”, who issues threats and creepy voice lines halfheartedly. Of course, story is never the reason that anyone played Lords of the Fallen, and the fact that CI Games failed to capture the challenge that drove people to this genre, speaks of how limited some developers are when it comes to mobile gaming. The game itself doesn’t look too bad, and the enemy design is just as well-done as it was in the original title. Aside from that, though, not much else of the original game can really be seen in Lords of the Fallen mobile. For the most part it is indeed a mobile oriented title. 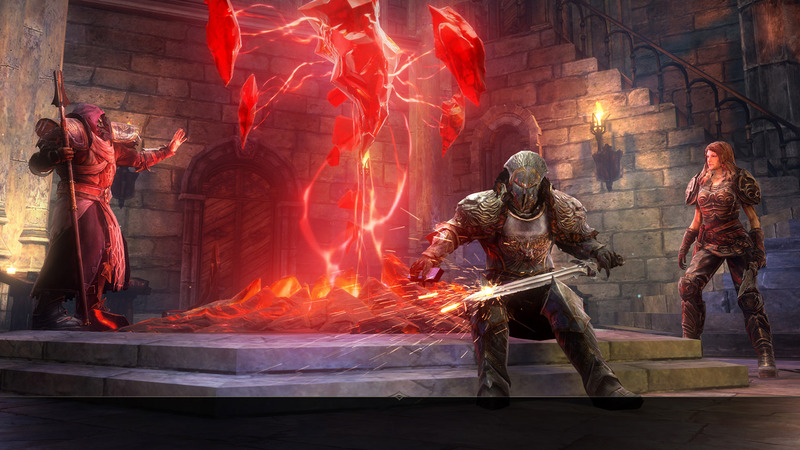 The game features a Forge system, where players can spend items like gems and other things they’ve found throughout their adventure to create new armor, weapons, and other equipment of the sort. But, equipment screens and things of that sort aren’t very hard to navigate and offer simple solutions for players looking to change things up. 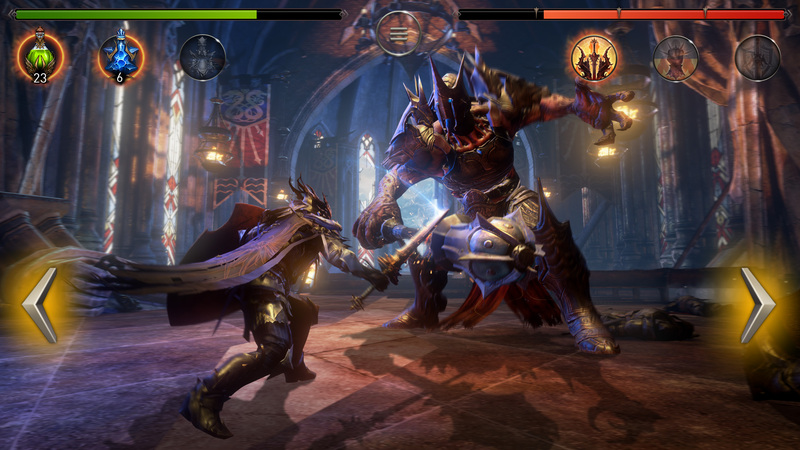 Combat in Lords of the Fallen mobile is based around swipes and taps. One of the benefits of Lords of the Fallen mobile not offering the same challenge as its console counterpart, is the fact that the game is very easy to dive into. There aren’t that many confusing systems, and combat is really straightforward. The tutorial teaches you everything you need to know and then you’re ready to dive into the real meat of the journey. Sadly, that meat just doesn’t live up to the name. Lords of the Fallen mobile isn’t a very deep game and it doesn’t offer enough to really justify that $9.99 price tag that CI Games have placed upon it. While they are billing this as a new story set within the Lords of the Fallen universe, it struggles to really capture the same depth and fantasy setting that made me love the original game so much. I never truly expected the game to offer the same amount of challenge as the original, simply due to the limits of mobile technology. But, for a premium price I did expect more than was given. If you’re looking for a little bit something different, though, and the lack of depth doesn’t bother you that much, then Lords of the Fallen mobile might be worth picking up at some point.